Describing the glory of the Lord, Saint Nammazhwar begs Him to appear before him to worship Him with full satisfaction. Chithirai Brahmmotsavam in April-May and the second in Panguni (March-April) are the two festivals of importance in the temples besides festivals related to Lord Vishnu. 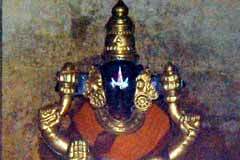 The temple is open from 7.00 a.m. to 12.00 a.m. and from 5.00 p.m. to 9.00 p.m.
Sri Thothadrinathar Temple, Nanguneri -627 108, Tirunelveli district. 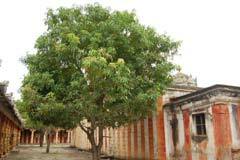 Realizing their wishes from Perumal, devotees buy the gingelly oil sold the temple itself for abishek to Lord. 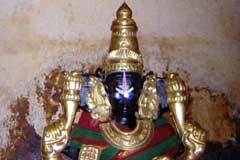 It is said that the procession idol of Mother was originally in Tirupathi. 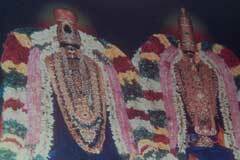 Devotees in Tirupati were to offer Varamangadevi to Sri Venkateswara in Tirupati. 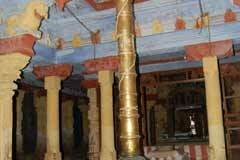 Perumal appeared in the dream of Jeer Swamigal and said that Varamangadevi was meant to Lord Vanamamalai in Nanguneri, therefore taken to this place. 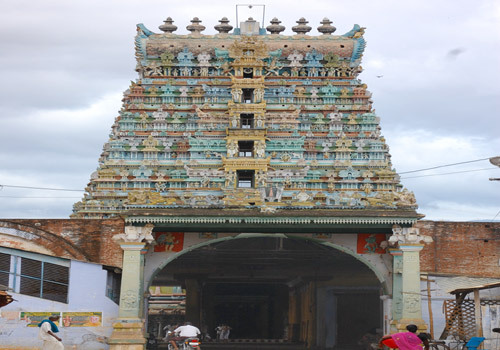 The headquarters of Vanamamalai Jeer, one among the Ashtathik Gajas – Eight pontiffs of Vaishnava order – by saint Manavala Mamunigal is here. 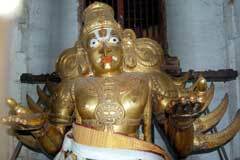 The Sadari placed on the devotees as blessing of Lord, has the image of Nammazhwar-Sadagopan. 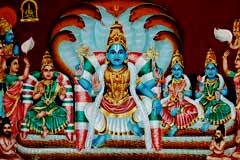 Miracle Based: Thothadri Nathan Describing the glory of the Lord, Saint Nammazhwar begs Him to appear before him to worship Him with full satisfaction. 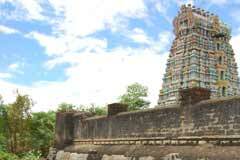 All buses from Tirunelveli to Nagarcoil pass through Nanguneri. 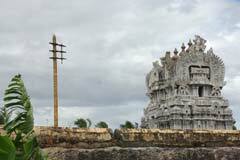 The temple is conspicuously located at the centre of the town.